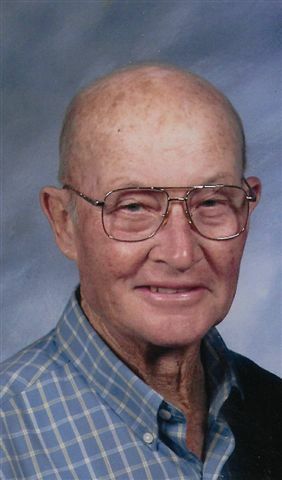 Walter C. Manning, age 97 of Stephensport, KY died Thursday, September 13,2018 at Breckinridge Memorial Nursing Facility. He was born in Breckinridge County, KY on October 12, 1920, the son of the late Lucian and Margaret Stallman Manning. Walter was a very devout member of St. Theresa Catholic Church. He was a farmer, who enjoyed working with his cattle, horses and mules. In addition to his parents, her was preceded in death by his wife Dorothy Manning, his daughter Carolyn Hutchison, his grandson Bryson Miller and his brothers Joe, CL and Maurice Manning. Funeral services will be held at St. Theresa Catholic Church in Rhodelia, KY on Monday, September 17, 2018 at 10 AM central time with burial in the church cemetery. Visitation will be held at Trent-Dowell Funeral Home on Sunday, 4-8 PM and Monday 8-9 AM central time. The rosary will be recited at 7 PM on Sunday. Expressions of sympathy are suggested to Breckinridge Memorial Nursing Facility.